Do you remember a few months back when the rumor was started that Google Reader was going to bite the dust? There was a wide-spread panic throughout blogging-land and many jumped ship over to Bloglovin' as an alternative RSS feed. I technically followed some blogs on Google Reader, but I never really used it because the few times I did open it, I was too overwhelmed by ALL THE BLOGS that I would soon exit out of the screen. But being the follower that I am, I decided to do what the cool kids were doing and get myself a Bloglovin' account. I signed up and I. LOVE. IT. 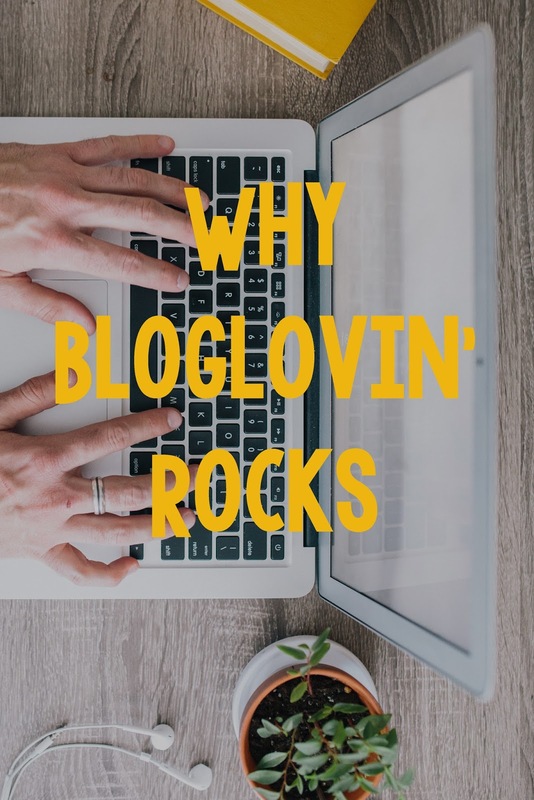 Here are some of the reasons why Bloglovin' rocks. 1. It's easy to sign-up on Bloglovin'. It takes just a few minutes to set up an account. I would recommend completing your profile as much as you can so others can find you more easily. 2. Claiming your blog is a snap. To claim your blog, you just need to add a code to your site. Bloglovin' has easy step-by-step instructions so no need to fear if coding frightens you. 3. You can move all the blogs you were following on Google Reader to Bloglovin'. When you sign up, Bloglovin' allows you to import your favorite blogs from Google Reader. It will, again, give you step-by-step instructions to do so that you can see here. 4. It's easy to follow and discover other blogs. Since I didn't follow too many blogs before I switched over to Bloglovin', I didn't import anything from Google Reader. Instead, I simply searched for them on Bloglovin' and clicked add. That's all there is to it. Bloglovin' will also give you suggestions based on blogs you already follow. This is great for discovering new blogs. I have found so many blogs that I love through suggestions from Bloglovin'. 5. You can organize all the blogs you follow into categories. I adore this feature so much. I am someone who organizes everything so this is something that really makes Bloglovin' a cut above the rest for me. I currently have my blogs in the following categories: Favorites, Inspiration, Blogging Tips, and Fashion. It really helps me to make the most out of the time when it comes to reading blogs and getting inspired by others. 6. There's a free app. Something that Google Reader did not offer was an app. I love having Bloglovin' on my phone so I can catch up on my favorites while I'm stuck waiting at the doctor's office or for my oil to get changed. It's so handy to always have it at my fingertips if I need something to do. These are just a few of the many things I love about Bloglovin'. If I haven't convinced you yet to sign up, let me tell you something that will tip the scales. If you get a Bloglovin' account then you can follow my blog! I know, how awesome! You can follow me on Bloglovin' here.